Last quarter, Samsung recorded the best profit for its handset business in two years. Even though the growth wasn't as impressive as seen in the peak years, it was still a nice turnaround for the global smartphone leader. Samsung's issues started in 2014 with fierce competition from lower cost Chinese manufacturers, and a flagship phone that was considered to be more plastic from the manufacturer. The Samsung Galaxy S5 surprised consumers, many of whom were expecting a metal clad handset. In its first three months on sale, the phone sold 25% or 4 million fewer units than its predecessor during the same time period. The Galaxy S5 was the first of Samsung's non "Active" models to have an IP certification (which was IP 67 in this case). While things started turning around with 2015's Samsung Galaxy S6, the big step up came with this year's Samsung Galaxy S7. Adding back two highly-demanded features that were removed in the Galaxy S6, the latest iteration of Samsung's flagship phone has an IP68 certification rating allowing it to be submerged in water. It also comes with a microSD slot. 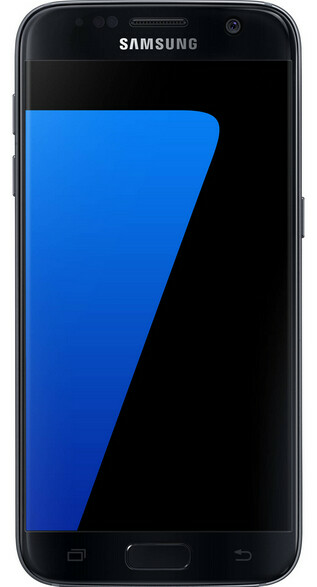 Samsung made subtle improvements with the Galaxy S7 that are big in terms of performance; unlike the waterproof Galaxy S5, which used plastic flaps to keep water out of the microUSB charging port and the 3.5mm earphone jack, on the waterproof Galaxy S7 these ports are treated with a special nanocoating that keeps water out even without the protective caps. Samsung also made the decision to go from the 16MP rear snapper on the Galaxy S6 to the 12MP camera on the Galaxy S7. In the never ending MP arms race, Samsung worried how it would look to potential smartphone buyers if it offered a new flagship phone with a lower MP count. Samsung waited until the last second before it decided to go with the 12MP sensor that employs an improved auto-focus and takes better pictures under low-light conditions. As it turns out, Samsung made the right move. More than half of all Galaxy S7 buyers in the U.S. said that camera quality was a main selling point leading them to buy the phone. That compared to just 33% of the buyers of rival phones who cited the rear camera as a selling point. The Galaxy S7 is selling like hotcakes and is on track to set a company record for first year sales of a new smartphone. Samsung plans on shoving its new innovations into the Samsung Galaxy Note 6, including a 6GB DRAM chip, This has been the MO for Samsung ever since the phablet was launched. But overall, Samsung is facing some strong headwinds. Overall smartphone growth this year will be in the single digits for the first time in history (7% says Gartner), and Samsung can no longer rely on growth in the overall market to help stir up demand for its phones. With that knowledge, the company is being more deliberate in an industry that has had its best days behind it. Kim Gae-youn, vice president in charge of Samsung's smartphone product planning, says that the company is now focused on the premium end of the market, which includes those handsets priced at $600 and above. He believes that Samsung is one of the few manufacturers with the ability to compete in this segment of the smartphone market. Good to see some good news about Samsung. Samsung (Optimus Prime) saying to Apple (Megatron) - I rise?! YOU FALL! Comments like this one are why most posters here think you are mentally challenged. Why don't you check those profit margins champ :). You probably aren't gonna like em' though. It's his time of the month, you just gotta deal with it. And you have the balls to talk about me taking shots. Look at you here. they a really nice no compromise phone thats all. phones like htc 10 are too late; no one will know about it. the s7 edge already captured all the attention. Keep pushing everyone Samsung. Either they improve, or get rolled over. That's the exact attitude everyone should have. Competition benefits us all. What's so great about stock Android? You can make a Galaxy S6/S7 look mostly stock with help from the theme store and Nova Launcher, it's smooth enough that you wouldn't be able to tell the difference these days. A lot of fuss over nothing. "smooth enough" Samsung should try that line in their next marketing campaign. Going stock Android would have removed a substantial amount of functionality from the phone. Say what you will about the aesthetics of their UI, but they actually pack a bunch of useful features in their devices which are not available on stock. Far from the worst software. The UI has made great strides, it's smooth as butter these days. The S7 Edge is the best Samsung phone I have owned to date. Great camera and great heat dissipation for a flagship Snapdragon phone. Kinda wish I went for the vanilla model cause I find the Edge to be more a fuss to use one handed but hey, I still love it and fully intend to get the S8 next year. It can only get better with Samsung's great innovative track record. As for how they generated great sales, I highly doubt they solely depended on the S7 line. It's that together with a bunch of semi-budget lines with great specs (think A series) that attracted a bunch of Chinese (the biggest market) buyers. In our recent trip to Europe & Russia we had used Sony DSLR camera, S6 edge (mine) and Note5(my wife's phone). We were dumbfounded when we saw the picture quality difference between the photographs taken in DSLR camera and Samsung camera( S6 edge and note5). It was unbelievable that pictures taken in S6 edge and Note5 were far more sharper and vivid in clour (viewed on 42" LED TV) as compared to the pictures taken in DSLR camera. We, alongwith our relatives were awestruck with out Phone picture quality. We have just fallen in love with Samsung. Great job done by Samsung in camera division. Keep the good job going. When Samsung get serious, Apple got hit, and down 3% of market share. I'm pretty sure that Samsung has been "serious" for years and weren't just casually spending billions on R&D and marketing all this time for nothing. Apple's down turn has more to do market forces, and less to do with Samsung specifically.